Cosonok's IT Blog: Is Kerberos Dependent on Reverse DNS Working? Is Kerberos Dependent on Reverse DNS Working? I’m going to answer this question using a lab setup. Note: DHCP server Active Directory domain authorization has been overridden using the registry hack HKLM\SYSTEM\CurrentControlSet\Service\DHCP\Parameters and the REG_DWORD DisableRogueDetection = 0x01. 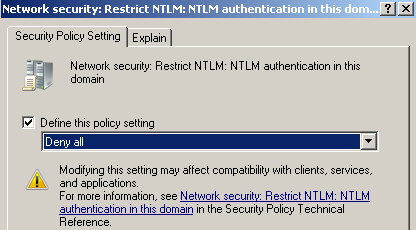 Note 1: Ensure the Windows Firewall is either turned off or ICMP echo is allowed to get ping response from Windows systems. No DNS Reverse Lookup Zones have been configured! Note: When testing reverse DNS, you must do the ping -a not on the system that’s got that address. A localhost will always be able to ‘ping -a’ its own IP Address! We see that in the absence of DNS Reverse Lookup Zones being configured, a ping -a returns the NETBIOS name of the system. Kerberos will not work since a Kerberos ticket is going to be requested for NASVM01-DATA1.lab.priv, and no machine account currently has that SPN (Service Principal Name) configured. Computer Policy update has completed successfully. An unexpected network error occurred. Kerberos - at least with Windows 2008 R2 SP1, Windows 7 SP1, and Clustered Data ONTAP 8.2.1 - is not dependent on Reverse DNS being configured! Note: Being thorough, I powered off the workstation, then powered it up a few minutes later, and logged in with a different user to test, and it continues to work. This value indicates whether a client IP address will be added in AS_REQ to force the Caddr field to contain IP addresses in all tickets. Checking on my Windows 7 Workstation, and Windows 2008 R2 Domain Controller, this DWORD does not exist, so we’re using the default value of 0. Infact HKLM\SYSTEM\CurrentControlSet\Control\Lsa\Kerberos\Parameters is pretty empty. 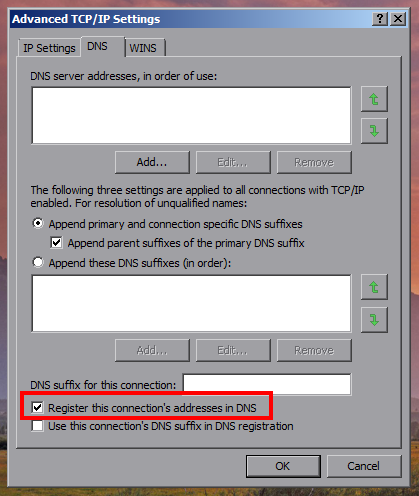 The article was for Windows Server 2003, but it left me thinking that if reverse DNS checks were a requirement, this registry option would need to be set to true, or at least that the default behaviour in Windows Operating systems since Windows Server 2003 (and perhaps earlier) is not to do reverse DNS checks. And NetApp Clustered ONTAP 8.2.1 is not configured out of the box to do these reverse DNS checks for Kerberos either. Did you know you can Cascade DFS Namespaces?